With the arrival of November comes the feeling of appreciation towards our loved ones and the natural instinct to give back to those less fortunate. So this month we at PALS Animal Life Savers say thank you to you, our dedicated readers. It is because of supporters like you that our cats are fed, cared for, and eventually find homes. 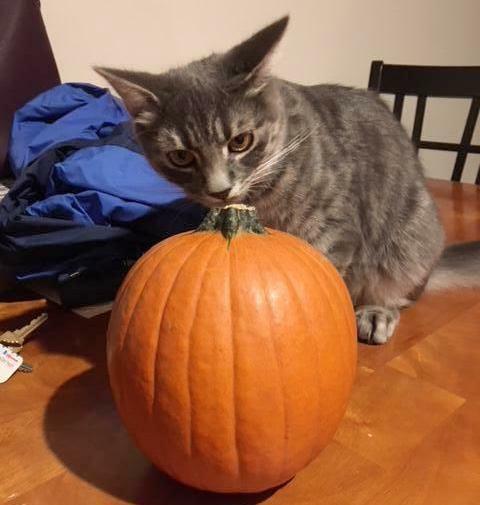 Stay tuned for more information regarding our upcoming Shopping For Felines event, a happy ending story , information on our available cats , and some Thanksgiving pet safety tips. 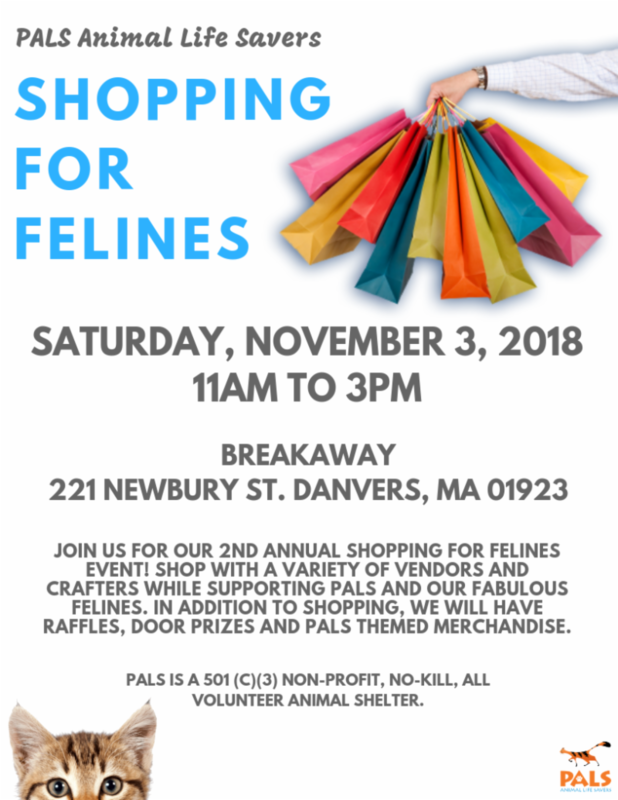 Don't forget, PALS Animal Life Savers will be hosting their second annual Shopping For Felines event this Saturday, November 3rd, from 11am to 3pm. Shopping For Felines will be held at Breakaway , located at 221 Newbury Street in Danvers , and will feature a large variety of crafters and vendors. When you're done with your shopping, don't forget to check out the PALS themed merchandise, raffles, and door prizes as well. This is an exciting event full of great products and great times. Only a few more days until the event--make sure you mark your calendars. We hope to see you there! 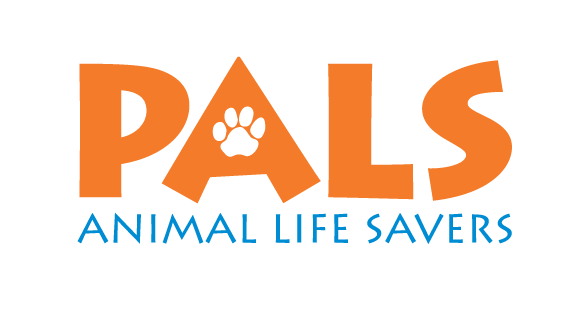 For more information on the Shopping For Felines event or on PALS Animal Life Savers visit our website at www.palscats.org. At PALS we pride ourselves on finding happy homes for our lovable rescues. This month's Happy Ending Story belongs to Rook. Rook, formerly Ziggy, was adopted by Erin and her family in June, as they were searching for a companion to their other feline family member and found Rook was a great fit. Rook, nicknamed "Rookie," is now 6 months old and doing great! Erin and her family couldn't have asked for a better addition to their family. 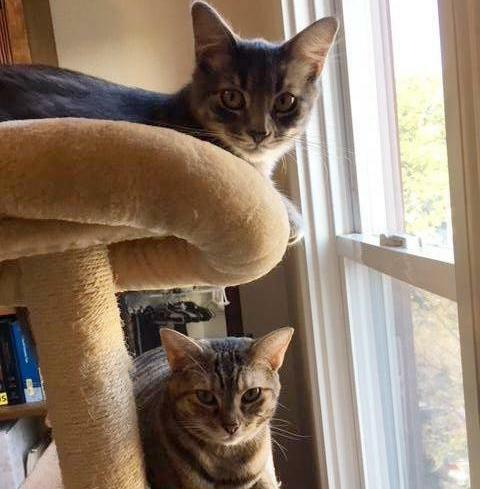 They were nervous to bring a new kitten home to their already established two-year-old cat, Arya, but all worries were relieved quickly and Arya and Rook are now the best of friends. Arya and Rookie love to run, play and even snuggle together. Erin and her family feel that Rookie was their missing puzzle piece and are so happy to have him as part of the family. ﻿Congrats to all--another Happy Ending! Check out our Facebook page for additional Happy Ending Stories. Email sandy@palscats.org with your Happy Ending story and pictures of your PALS cat. Are you in the market for a new feline addition to your family? Then look no further than PALS Animal Life Savers for a loving companion that is sure to warm your heart. Marlo (pictured right) is a handsome 12-year-old orange and white male. Marlo has recently been diagnosed with diabetes and requires insulin twice daily. Marlo is looking for the right home that will take care of him long-term and love him unconditionally. 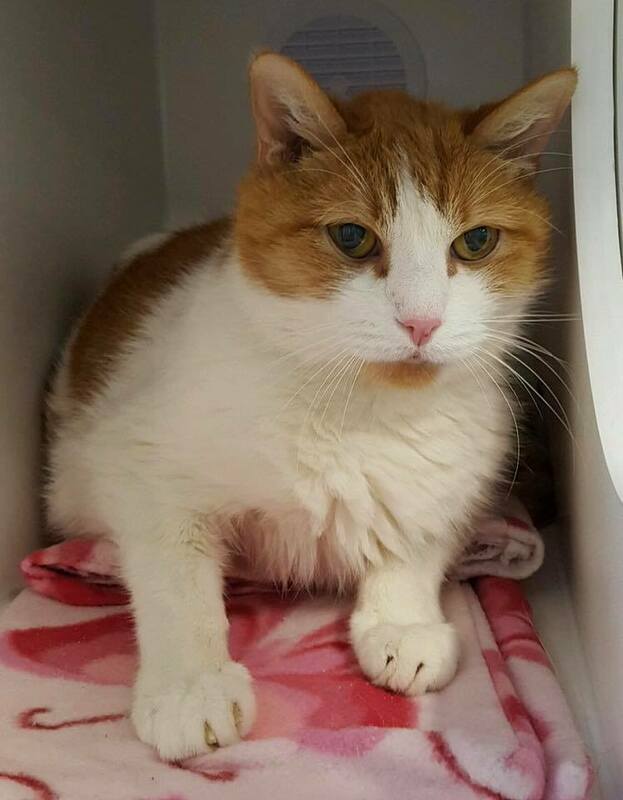 Aside from Marlo's diabetes, he is a healthy, loving cat in every way and will make a wonderful companion to the right person willing to open their home to him. For more information on how to adopt Marlo, or to see our other available cats, please visit our website . 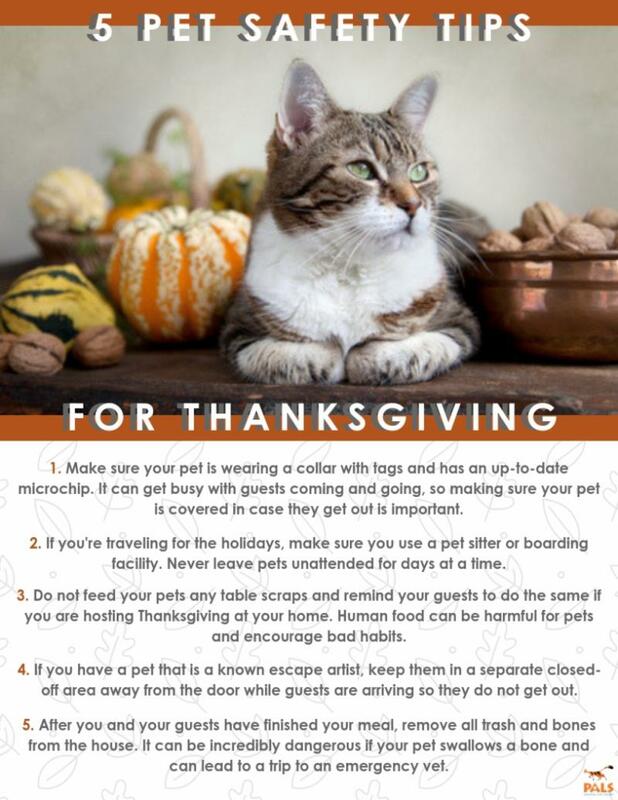 Thanksgiving is just around the corner, and while you may have planned out what you're going to eat and who you're going to spend it with, have you thought about what your pets are going to do? Thanksgiving can be a busy time with visiting friends and family and lots of good food, but it can also be a stressful time for your pets. PALS has you covered with some tips to ease your mind and make sure your pets are safe and happy on Turkey Day. Happy Thanksgiving from all of us at PALS Animal Life Savers to you!